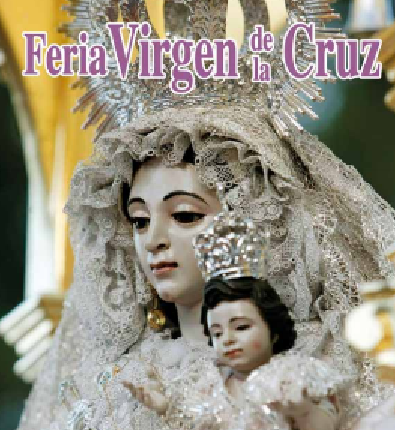 The Feria week in Benalmadena starts this week on the 14th of August celebrating festivities in honor of their patron, the Virgen de la Cruz. - The traditional ‘Chocolatada’ which takes place every morning at 11.00am in the Plaza de España. Organised by the town hall, it’s basically free hot chocolate for everyone! Head on up there for breakfast one day and try some original Spanish hot chocolote - churros! - Official opening of the fair in the main Fair Ground (Los Nadales) at 9.30pm on the 14th August. Watch as the mayor switches on the fair ground lights; a good photo opportunity. - If you have kids, take a trip up to the Fair Ground where you’ll find lots of fun rides. Open every evening from 9.00pm. - On Thursday 15th August at 8.00pm there is a religious ceremony in honour of the Virgen de la Cruz at the Santo Domingo de Guzmán Church. This will be followed by a procession through the streets of the town. - Another one for kids: on Friday 16th August (from 11.30am to 2.30pm) there is a children’s fair in the Plaza de Andalucia – Childrens activities, games, dancing, etc. - Car Rally where participants ‘decorate’ their vehicles in the hope of winning a prize. Apparently you get to see some funny and rather imaginative creations; definitely worth a peek. This takes place at 10.30am in Avenida Juan Luis Peralta. - David de María in concert in the main auditorium of the fair ground. Saturday 17th August at 00.30h. - A little dancing to the music of the Kalima orchestra with free tasting of typical local dishes in the Plaza del Aguacil. (Saturday 17th August at 1.00pm). - Día del Niño’ (Kiddies Day) at the Fair (Sunday 18th August): All fairground rides and attractions cost just €1 for kids! If you’ve never been to a traditional Spanish ‘Feria’ we highly recommend you take a trip up to Benalmadena and experience the magic of these celebrations!